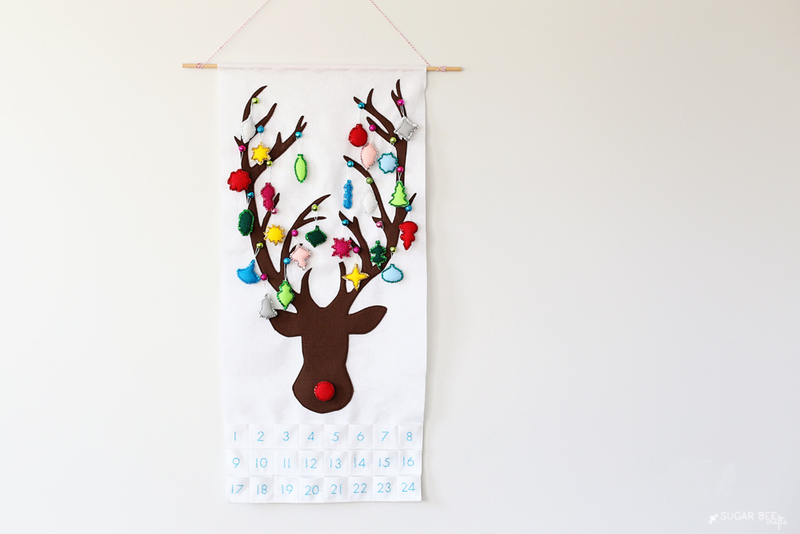 Now hear me out – today I’m going to plead the case as to why you need to start NOW on your Christmas advent calendar. 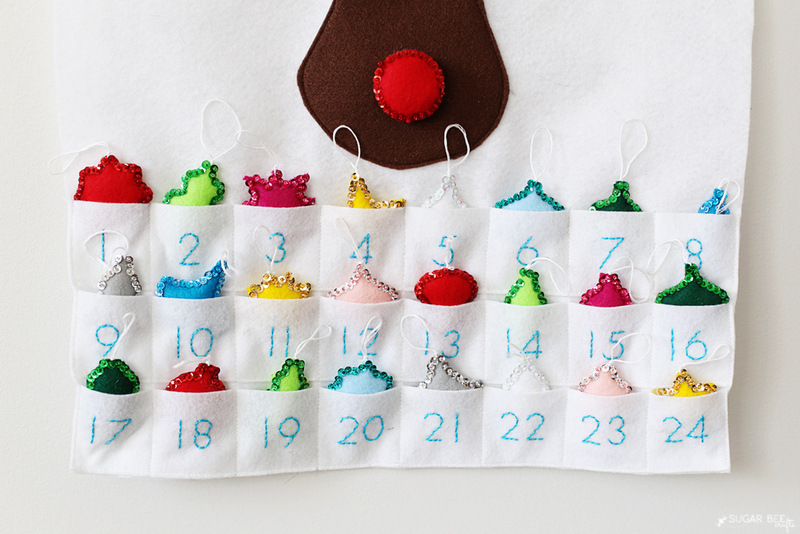 Isn’t this the cutest advent calendar you’ve ever seen?! 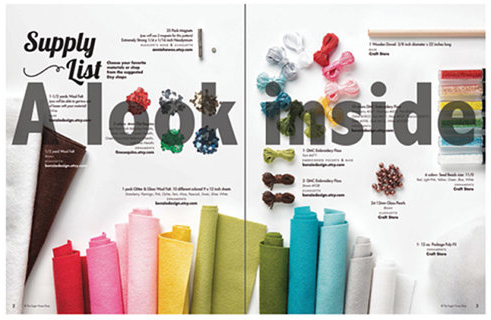 It’s from The Sugar House Shop and I even get to give away a FREE PATTERN to a lucky reader, eek!!! 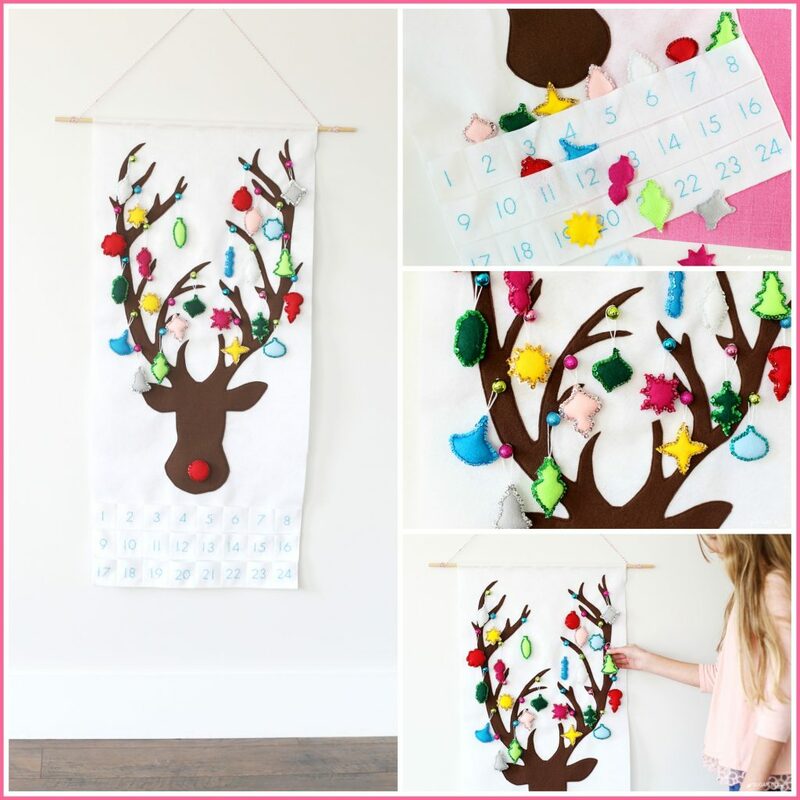 Today I’m talking all about the Reindeer Ornament Advent Calendar. I just finished up this week! I cannot believe how cute this is! Let me tell you, it feels SO GOOD having it done – no rush during the last-minute holidays…. it’ll be ready to go when Christmas rolls around! I want to touch base on a few things: the pattern, timing, crafting it as a group, and the giveaway! 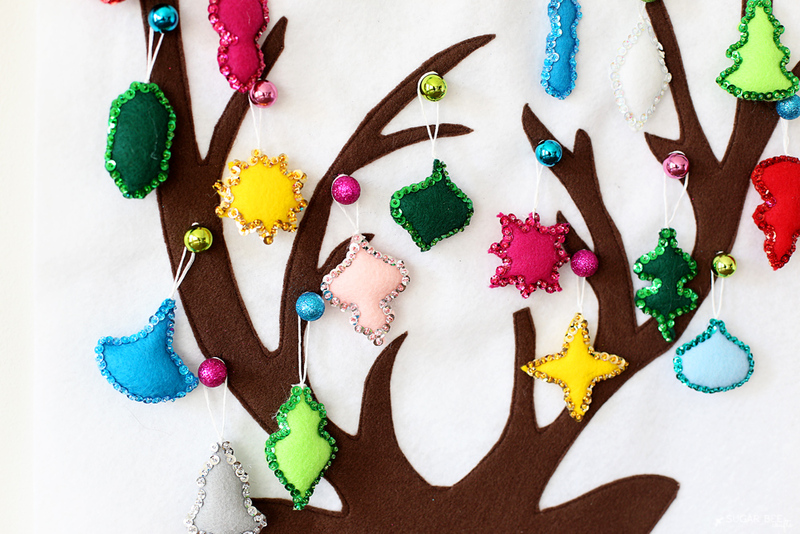 It’s so cute – whether the ornaments are on or off! 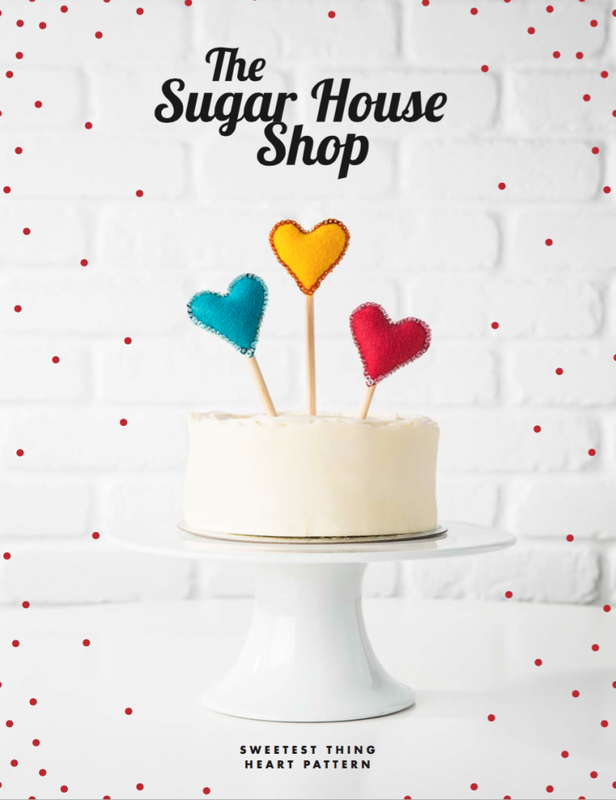 You can purchase the pattern from The Sugar House Shop on Etsy. Hands down, this is the prettiest PDF pattern ever. It is SO well done – seriously perfection. It is super detailed about how to make everything, how long it will take, what supplies to buy, where to buy the supplies, on and on. 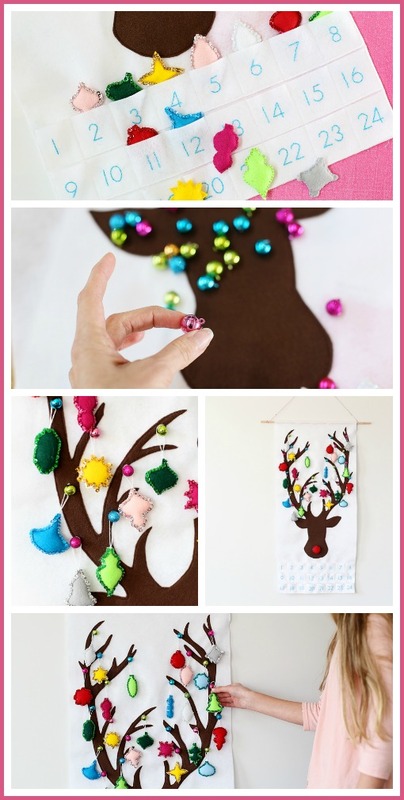 It makes sure that even a beginner can tackle this project! 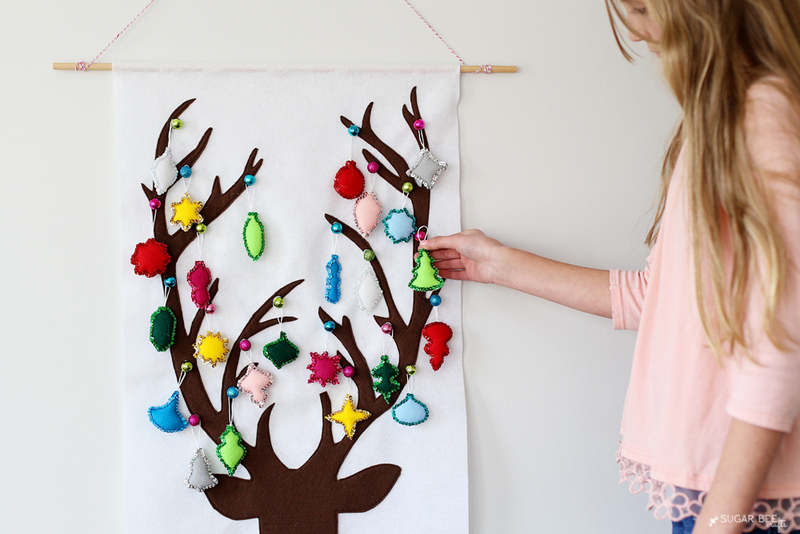 PS, if you want to try out a pattern from The Sugar House Shop and see it in all it’s amazingness, you can get this super cute felt heart pattern for FREE when Signing Up for Their Newsletter – – I went ahead and got the pattern and am hoping my girls and I can make some this weekend – the way the pattern has it so that dowel rods work is GENIUS!! I tackled this project with friends, and it was SO FUN to have a support group. 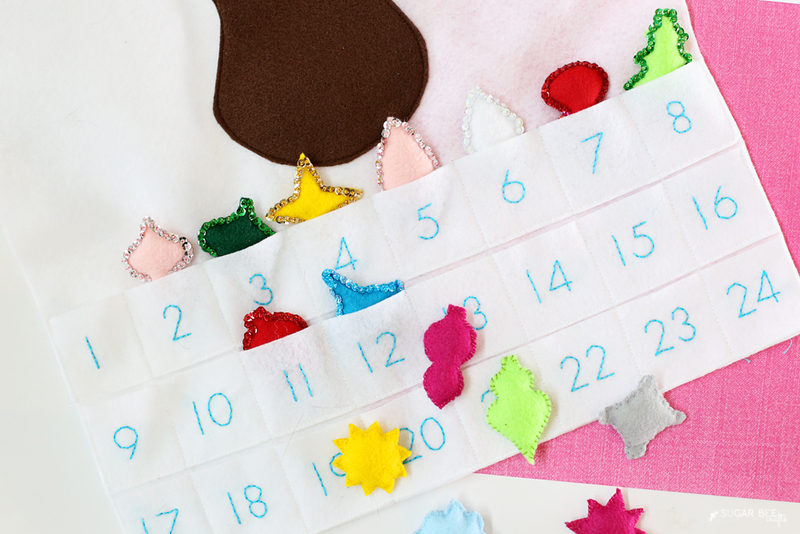 We would help and encourage each other, such as “ok, everyone should have 3 ornaments done by the end of the week”, or “how did you assemble the pockets”, or “look how far I got on my advent calendar yesterday!” – it was just was fun to be crafting along with one another. Now keep in mind, it’s of course great to create together, but in supporting small businesses it is always fair that everyone purchases their own pattern. 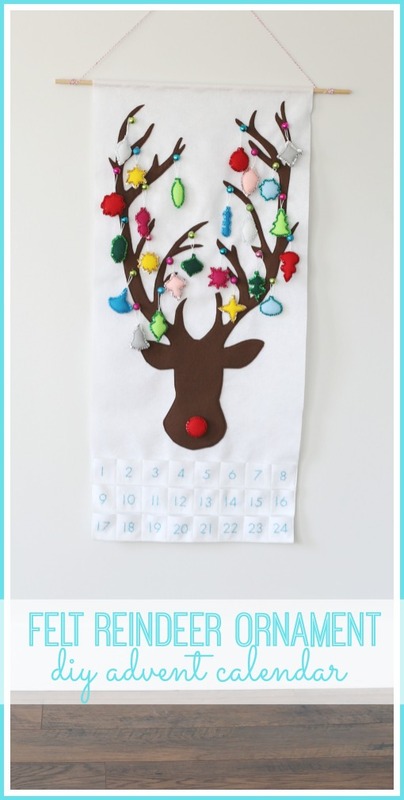 The awesome thing is that if you are planning to get together with some friends to make your advent calendars, The Sugar House Shop offers discount codes for groups- just contact them via etsy! 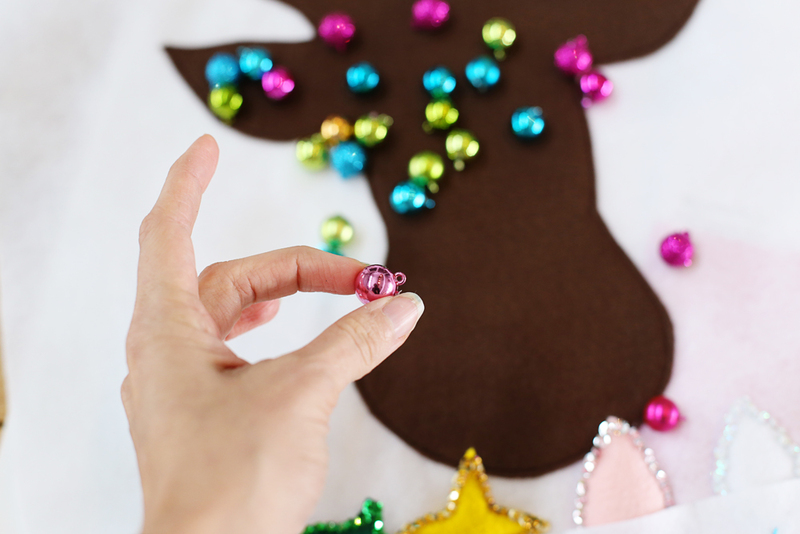 The pattern calls for beads, but I debated on whether to substitute these cute mini ornaments on the antlers – so of course I turned to my craft club and they liked the idea, so I went for it! I love crafting with friends! Yes!! 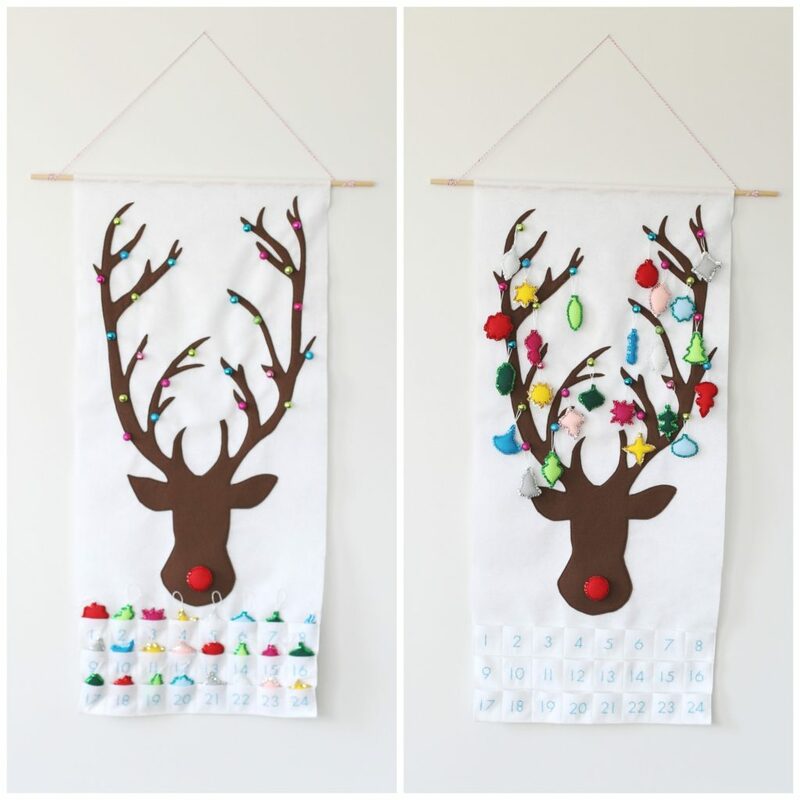 One lucky reader will get a FREE Advent Pattern from The Sugar House Shop – – just enter via the rafflecopter below! Sooo cute! I love advent calendars! thanks, I kind of love it!! How much would you say the supplies cost? If you do it in a group, you can cut costs because you can share the packets of sequins, beads, etc. If you’re doing it individually, she recommends a place where you can buy all the felt colors in a kit. I think we came out to supplies costing $25. they would love it! and congrats!